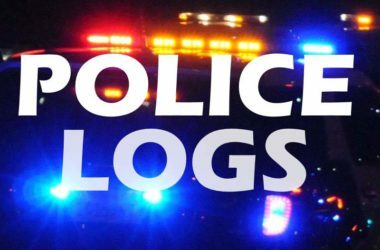 Latest police logs include reports of someone hugging a light pole on Sylvan Road, transients dancing in a parking lot around 5 a.m., a mobile home ransacked on Auburn Boulevard, and a woman alleging someone had thrown a “hand bomb” at her. The following is a summary of select incidents listed in the Citrus Heights Police Department’s daily incident bulletins for Thursday, Jan. 31, 2019. Links to additional bulletins are also included below. Thursday, January 31, 2019: Total of 77 incidents listed. Incident report categories of note: 28 calls regarding suspicious activities, 12 disturbance-related, 10 homeless/transient-related, 1 grand theft, 4 petty thefts, 2 burglaries, 1 assault report, 5 collisions, no stolen vehicles, and 1 report of domestic violence. 1:10 a.m., Assault, Stones Casino on Antelope Rd. Police were notified that casino security were with a subject who had allegedly committed an assault inside the casino. 1:24 a.m., Suspicious Circumstances, Walgreens at Greenback/Dewey. Four individuals entered Walgreens shortly before 1:30 a.m. and were reportedly seen “putting handfuls of items in bags.” Police were advised that they were likely trying to steal the items from the store. 5:09 a.m., Suspicious Circumstances, California Family Fitness on Sunrise Blvd. Several transients were reportedly “loitering and dancing” in a parking lot shortly after 5 a.m.
9:00 a.m., Petty Theft, Sunrise Mall. Two individuals reportedly drove up to a receiving gate at Macys Womens and “clipped the chain” using bolt cutters. The incident was listed as petty theft, indicating that item(s) valued under $950 were stolen. 11:09 a.m., Burglary, Imperial Manor Mobile Home Park on Auburn Blvd. A mobile home in a park on the 5900 block of Auburn Boulevard was reportedly ransacked, with stolen items including a safe and other valuables. 4:36 p.m. Suspicious Circumstances, Grand Oaks Hair and Nails on Auburn Blvd. Police were advised that a transient who “used to live on the roof” of a hair salon on Auburn Boulevard had apparently used the salon’s address for receiving mail. The caller told police she was now receiving mail from an attorney company addressed in the transient’s name. 5:31 p.m., Suspicious Circumstances, Sylvan/Stock Ranch. An individual was reportedly seen “hugging a light pole” on Sylvan Road, near Stock Ranch Road. 5:33 p.m., Suspicious Circumstances, Twin Oaks Ave. A neighbor told police that the garage door of another home on their block had been left open for several days. 6:12 p.m., Fraud/Forgery, Greenback Terrace Apartments on Birdcage St. Police were advised that an individual was fraudulently trying to rent out a residence, but was not the owner. 6:37 p.m., Disturbance Verbal, O’Reilly Auto Parts on Greenback Ln. A woman told police that “a hand bomb” had been thrown at her around 2 a.m. that morning near Sam’s Tires & Wheels on Greenback Lane.